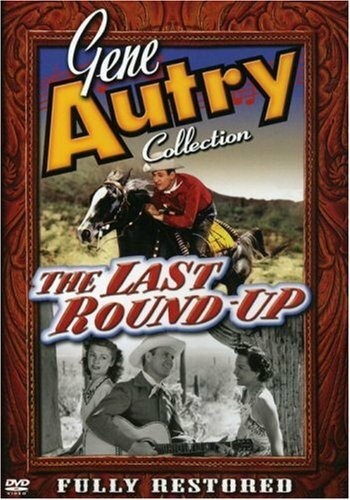 The Last Round-Up is a story of modern times, thundering with all the thrills of the Old West! Gene Autry is a cattle rancher determined to protect the interests of neighboring ranchers and Indians against unscrupulous land manipulators when local authorities plan to build an aqueduct. Filmed in Arizona's "Old Tucson," Gene is better than ever riding, roping, fighting and singing his way to victory against all kinds of odds! If you have any questions about this product by AUTRY,GENE, contact us by completing and submitting the form below. If you are looking for a specif part number, please include it with your message.